Air conditioners need cleaning and maintenance for optimal performance. It is not a complicated task, but, requires patience because it takes time. Think that investing a little time in cleaning the air conditioner will make the air more pure, fresh and cooling system more efficient. In addition to all these reasons, knowing how to clean an air conditioner is more important to avoid any dirt and bad odors when you turn it on. 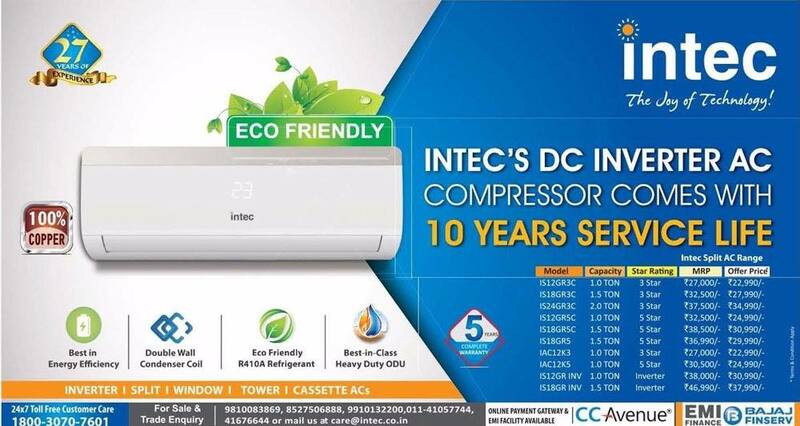 Reputed Air conditioner brands in India provide complete device maintenance tips for ensured quality and longevity of air conditioner. To know how to clean the less power consumption air conditioner it is important to keep in mind that the device will have a lot of dust accumulated from months. It is recommended to do a 360-degree cleaning of the air conditioner at least once a year as this will extend its life and most important of all, you will avoid any health problem.